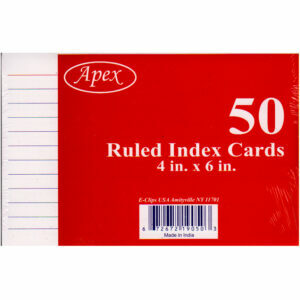 Index Card Ruled 5″x8″ – 25 Pk. 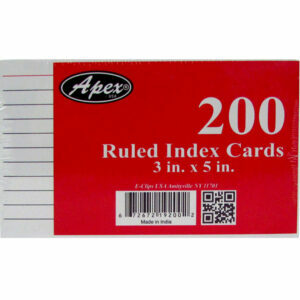 Index Card 4″x6″ White 50 Pk. 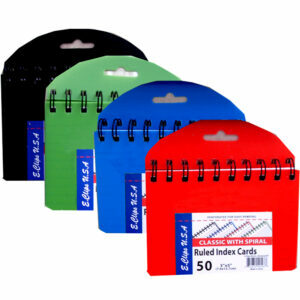 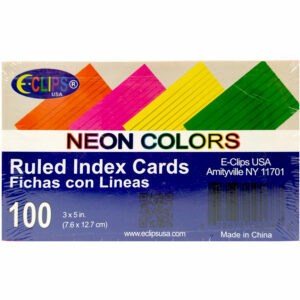 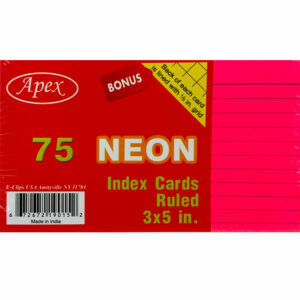 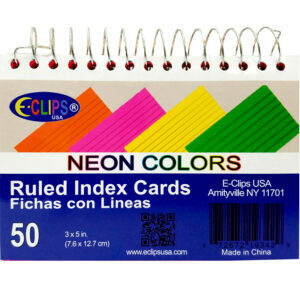 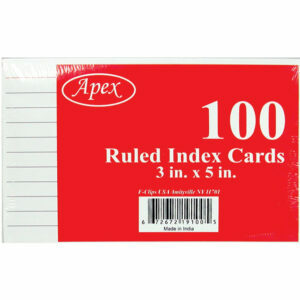 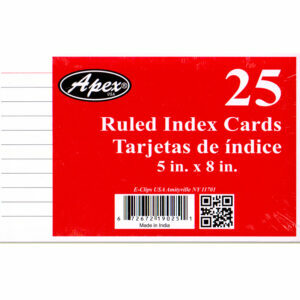 Index Cards 3×5 – Ruled – White 100pk. 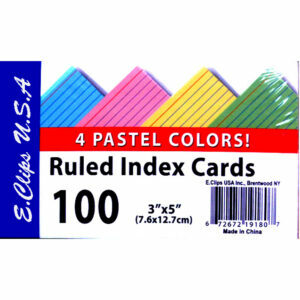 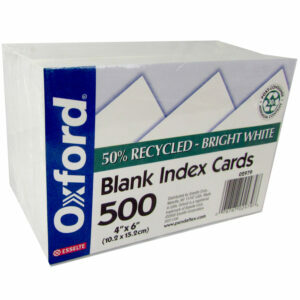 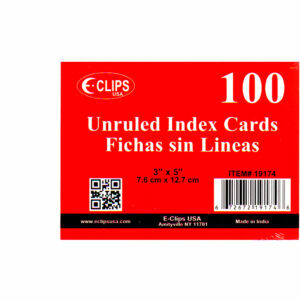 Index Cards 3×5 – Unruled – White 100pk.